I have decided to start honestly reviewing some of my favorite beauty products because, I myself am always on the hunt for fantastic products that make a difference with my super sensitive EVERYTHING prone skin. I have even damaged my skin from sampling and testing a variety of beauty products. My goal is to provide the most honest reviews on products that I try and I am always willing to accept suggestions for products to review. Anyhow, I have always been obsessed with Korean beauty products and their love for flawless skin. 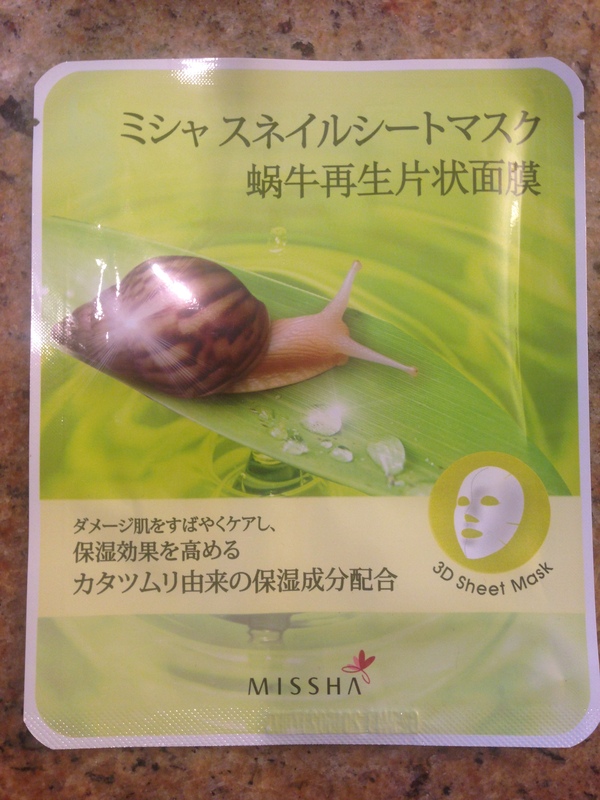 I am lucky to have a friend who was able to bring me some MISSHA 3D Repair Snail Masks, which are fantastic for skin elasticity. 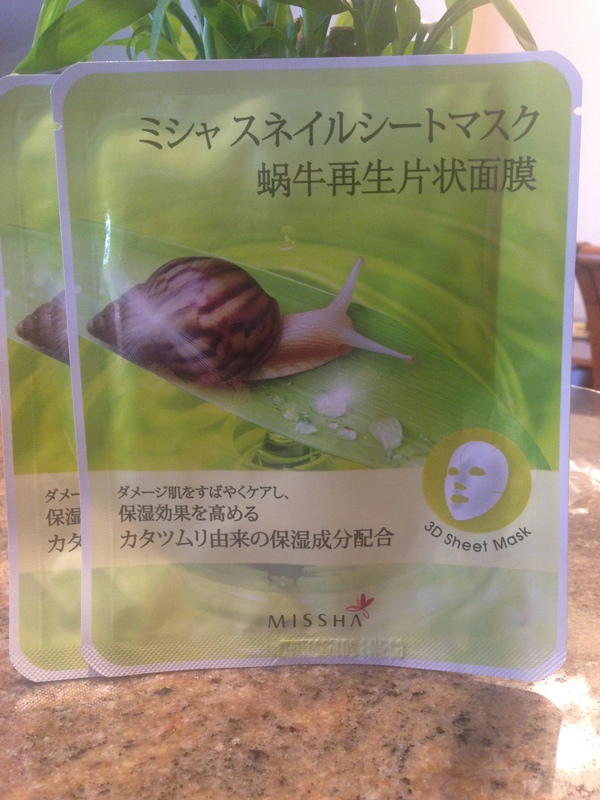 After a cleansed face simply apply a mask and let sit for 15-20 minutes and rediscover more plump skin. I really enjoy using this mask before I have an event to attend such as a wedding because I find that it prepares the skin perfectly for foundation. The mask serum absorbs so nicely into the skin and the fine lines are depleted, also the overall complexion is more vivid. 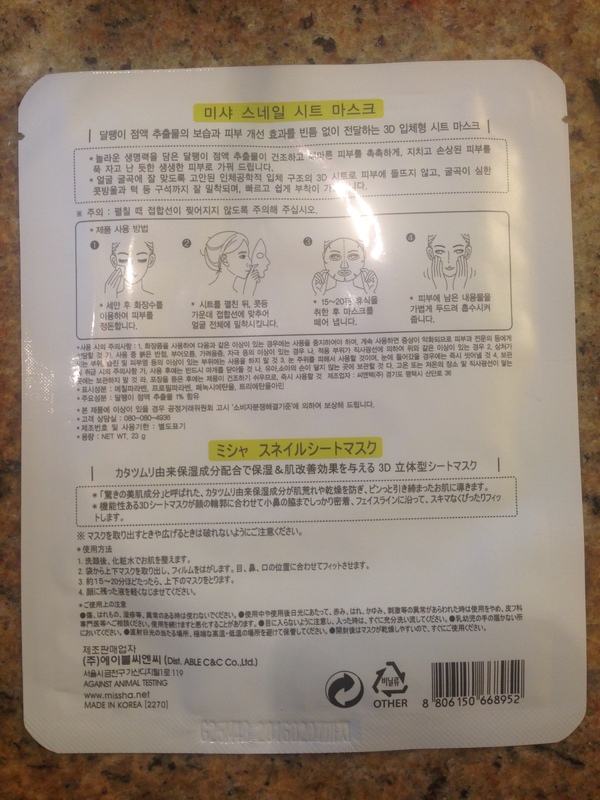 After running out of the masks that my friend has brought me I have been in search for alternatives and I have managed to find some through amazon.com by the same company which has a great reputation. If you are interested in trying something like this mask, here is the link or simply search the web yourselves. As I have mentioned before I have really sensitive, eczema prone skin and this mask works nicely with my problematic skin. I highly recommend this mask for anyone who plans on wearing heavy make-up, because this mask will renew and protect your skin from the heaviness of the make-up.